For novices, hobbyists and seller alike! Buy a single copy or subscription to Making Jewellery magazine. 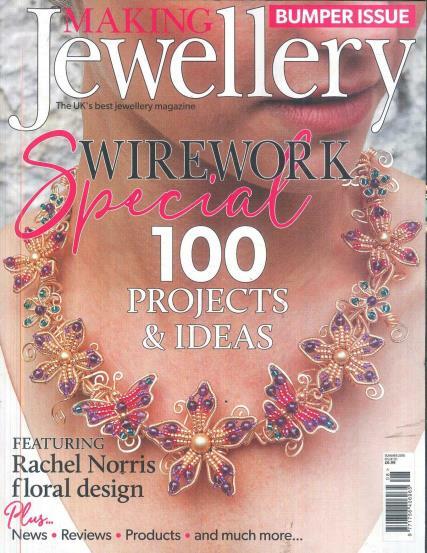 Making Jewellery is the UK's first and best-selling jewellery magazine. Each month we feature more than 45 projects to make stylish, fashionable and professional looking jewellery. There are step by step projects for every skill level using a variety of techniques from simple stringing to metal clays, polymer, shrink plastic, wirework, silversmithing, resin, lampworking and more. Making Jewellery offers an innovative approach to jewellery making with instruction on basic techniques and insight into the creative minds of leading makers.